Madhyamik examinations will begin from tomorrow in West Bengal. 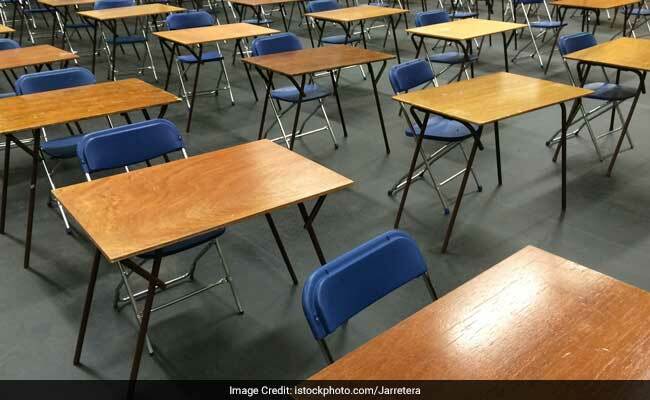 The 10th board exam for West Bengal Board of Secondary Education (WBBSE) students will begin with First Language paper on February 12, 2019. The examinations will end on February 22, 2019 with the exam for Optional Elective Subjects. The board has made arrangements to prevent any malpractices during the examination. WBBSE has also set up a control room which started functioning round the clock from February 6, 2019 and will function till February 22, 2019. According to news agency PTI, invigilators have been instructed to hand over their mobile phones to the venue-in-charge. The measure has been taken to prevent any malpractices during the exam. The examination will be held in only one paper on each day from 11:45 am to 3:00 pm. The first fifteen minutes are strictly allotted to read the question papers. Students will be allowed to write answers from 12:00 pm to 3:00 pm. The examination for Sewing and Needle work will be of four hours and fifteen minutes duration. The examination in Music Vocal and Music Instrumental will be of two hours fifteen minutes duration for theoretical portion. The venue, date and time of the practical portion will be announced later. The examination for Computer Application will be of two hours and forty five minutes for the theoretical portion. The practical examination for this paper will be conducted by the individual schools.